"We called Paris the great good place, then, and it was. We invented it after all. We made it with our longing and cigarettes and Rhum St. James; we made it with smoke and smart and savage conversation and we dared anyone to say it wasn't ours. Together we made everything and then we busted it apart again." I've been a reader of Hemingway and a lover of his legendary life since my college days. I read A Moveable Feast years ago, and it takes only a close second in my heart to The Sun Also Rises. 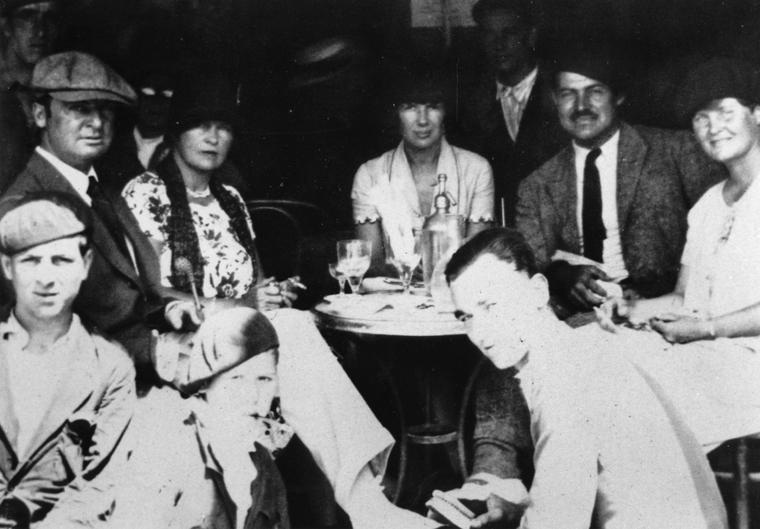 While A Moveable Feast is a memoir, Sun is a work of fiction that closely parallels Hemingway's experiences in Pamploma with his first wife, Hadley Richardson, and a gang of their ex-pat and British friends, all living in Paris at the time. However, while Hadley is completely absent from Sun, she is everywhere in A Moveable Feast. Though she was the first of four wives and many more lovers, Hemingway wrote that he wished he had died before he loved anyone but her. I'll leave you with that, and say that if you're into historical fiction, stories about jazz age Paris and maybe like to cry a little at the end of books, you should definitely read The Paris Wife. I just finished it last night and yes, I cried. The love story it contains paints for the reader an imagined but likely very accurate picture of the Hemingways' relationship, their adventures and their travels in the early 1920s. It's an intimate look at Ernest Hemingway, before he became Papa, before he was the larger-than-life myth we know him as today. Oh, I read this book a few months ago and loved it! I'm ashamed to admit that I haven't ever read any of Hemingway's work, but after reading The Paris Wife, I definitely need to start reading Hemingway. This book has been on my list for a while! I'm headed to Key West in a week; what better place to read a book about Hemmingway than in one of his favorite places?! I'm not a fan of Hemmingway's writing, but I love good writing and this looks good! I read The Paris Wife last year and loved it. It's such a small part of Hemmingway's life, yet still so important. Really enjoyed it! I think you would like Rules of Civility. It makes you feel the way about NY that The Paris Wife makes you feel about Paris. I felt like even when things go bad, well at least she's in NY. I loved it. Great review. I wasn't initially sure that this novel was one for me, but your review has me reconsidering. This is a splendid novel. In a typical biographical novel, the distance between the character and the author is evident, to a greater or lesser extent. There is no such distance in The Paris Wife. There's not a single note that doesn't ring true. It's a great story, beautifully told, and Hadley deserves it. Well done!